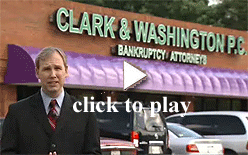 Here at Clark & Washington we understand the stress and trepidation that comes along with overwhelming debts and the prospect of filing for bankruptcy. With more than 25 years experience, our attorneys and staff are well equipped with the knowledge to help you get all the information you need. 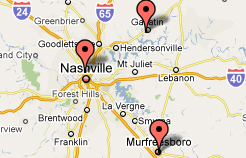 Your first visit with an attorney at any of our locations is absolutley FREE. 2 - If you prefer that we contact you please fill out the Contact Form to the right.